Put a halter on your horse and secure him in cross ties or tether him to a rail using a quick release knot. Position yourself beside the horse’s shoulder, facing toward the tail. Starting with the left front (near-fore) leg, run your hand down the leg and grasp the tuft of hair at the fetlock (ankle). Most horses take this as a cue to lift up the foot. 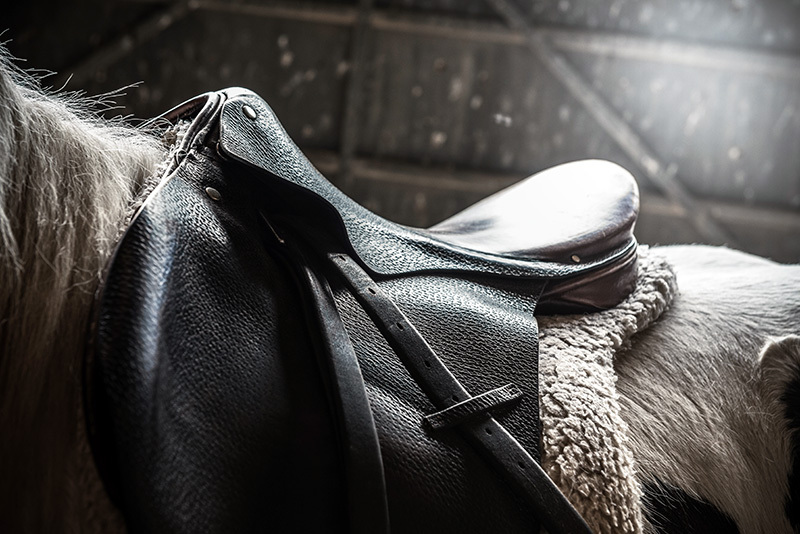 If your horse doesn’t pick up his foot, apply gentle pressure with your thumb and forefinger either side of the fetlock to encourage him to lift the foot. If he still doesn’t pick up the foot, lean against him slightly, pushing his weight to the other foreleg, while encouraging him to lift his foot. Once his foot is lifted, hold the foot in the left hand and use the hoof pick in the right hand to begin cleaning. Start at the heel and use the hoof pick from heel to toe to remove mud and other debris. Be sure to clean the cleft between the sole and the frog. After you have removed mud and debris, check the condition of the frog. It should be firm, with no discharge. Check the shoes to make sure there are no loose or missing nails. 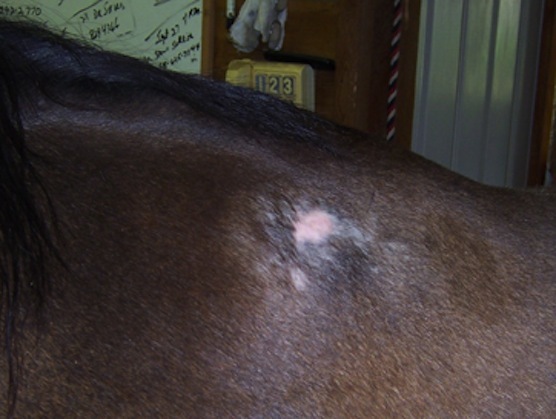 Check to make sure the clenches haven’t risen (make sure the nails aren’t sticking out of the top side of the hoof). Repeat this procedure with the remaining three hooves. 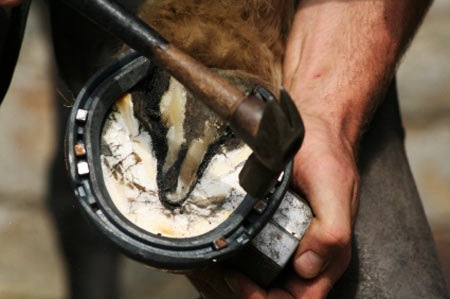 Apply Farrier’s Choice Hoof Dressing to aid in the treatment of dry, brittle, cracked and shelly hooves.